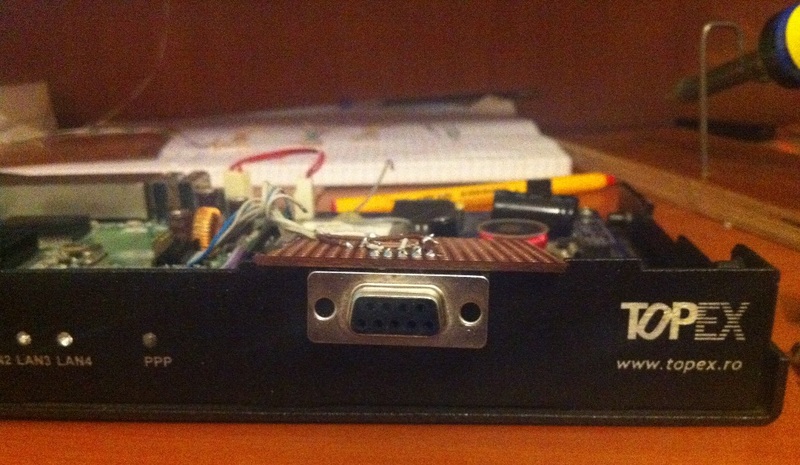 Today I have been trying to get some working console cables for the Asus WL-500 routers I have. The first thing I tried was using an old Nokia CA-42 data cable which includes an Prolific USB to 3.3V TTL converter but unfortunately it ended in getting a messy input and output. 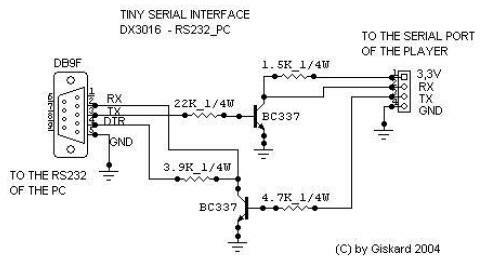 So the other solution I thought of was building my own RS232-to-3.3V TTL converter. Below you may find a scheme of the simplest converter I found. This converter did the job for me but only when using it with a computer which had a built-in serial port. When trying it with an USB-to-RS232 converter (Prolific chipset) I got a clean output from the UART port of the router but a messy input. I guess I’ll have to try another type of USB-RS232 converter(other chipset than Prolific) or build an USB-to-3.3V TTL converter from scratch. Later Edit: I found a workaround for the messy input when using an USB-to-serial adapter. 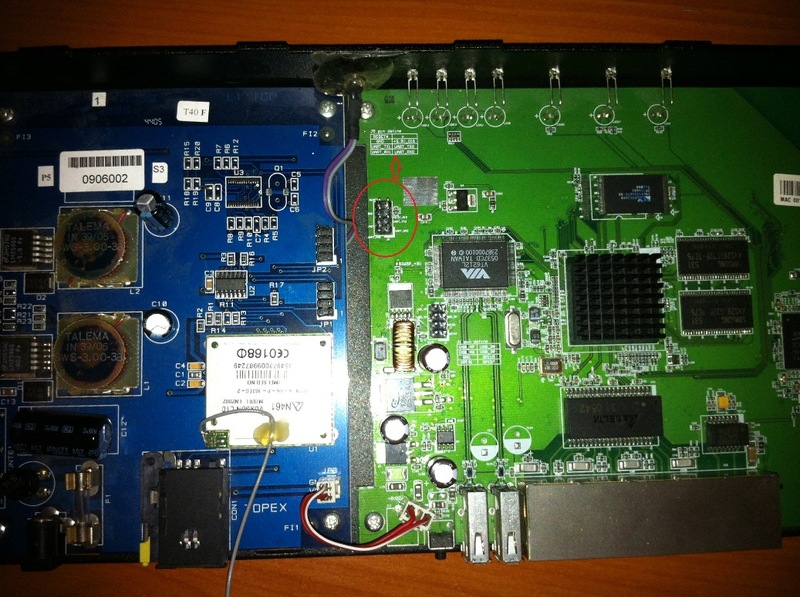 The default OpenWRT image is compiled with a default baud rate of 115200 bps for the console port. You need to recompile the kernel and use a baud rate of 9600 bps, I will later post a tutorial on how this should be done.